New bridges at lower cost. A rendering of the Henderson Street Bridge design over Fort Worth's Trinity River. Fort Worth's Trinity River bridge plans were unveiled to the public on Wednesday. The plans call for the creation of three bridges planners say will create a stylish entrance into the urban, waterfront community of Trinity Uptown. City leaders say their plans are beautiful and budget-friendly with the costs projected at $65 million. One major goal is that the bridges – which will cross over the future bypass channel at White Settlement Rd., Henderson St. and Main St. – will provide a pedestrian-friendly experience and complement the iconic architectural components of the Cultural District and Downtown. Construction on the Henderson Street bridge should begin in 2011 with the other bridges following. 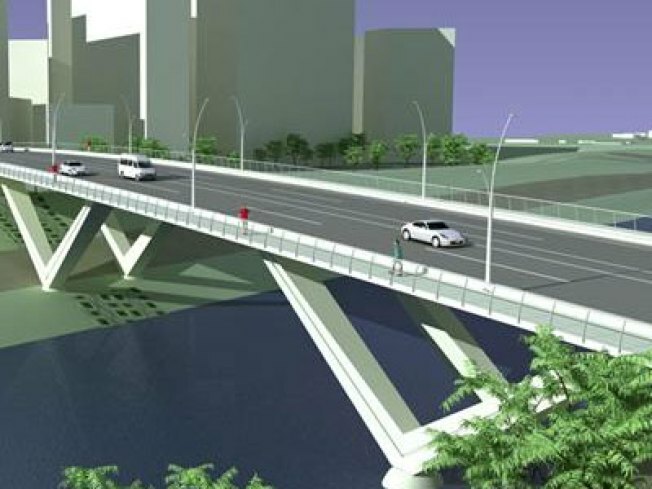 Completion of the three bridges is expected in 2015. Click here to see the Trinity River plan.